(d) whether the Government is likely to make alternate arrangement to check damage being caused to the environments, if so, the details thereof? (a) Hon’ble National Green Tribunal, New Delhi in O.A. No. 410 of 2018 in the matter of Society for Protection of Culture, Heritage, Environment, Traditions and Promotions of National Awareness vide its Order dated 02.07.2018 issued direction to maintain Status-quo, particularly in the matter relating to felling of the trees and it was directed that there shall be no felling/cutting/destruction of the trees till further order by this Tribunal. Further, Hon’ble High Court of Delhi in the W.P. (C) 6680 of 2018 in the matter of Dr. Kaushal Kant Mishra Vs Union of India & Ors vide its Order dated 04.07.2018 inter alia directed that till further hearing in the matter, the respondent shall stand prohibited from cutting down or removal of any tree pursuant to permissions which have been granted by the Tree Officer without leave of the court. (b) National Buildings Construction Corporation (NBCC) India Limited under the Ministry of Housing & Urban Affairs has informed that on the order of Hon'ble High Court, Ministry of Housing & Urban Affairs filed a detailed Affidavit in the Hon'ble High Court stating that proposals of all six General Pool Residential Accommodation (GPRA) colonies have been reviewed, whereas only 6997 nos. of trees shall be affected. 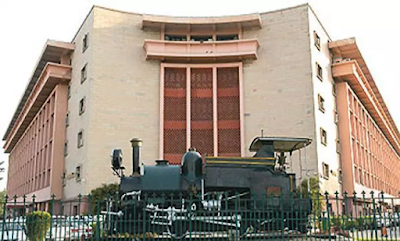 It was further proposed to avoid cutting of trees to the maximum extent and instead transplantation of the affected trees shall be done within the site or in the vicinity, in a phased manner by engaging specialized agencies for such transplantation ensuring survival rate to the maximum. Compensatory plantation shall also be done at the project site at the first instance, on the available area in phases during construction. (c) NBCC (India) Limited under the Ministry of Housing & Urban Affairs has informed that Government proposes to compensate the damage caused to the environment due to felling of trees by avoiding cutting of trees to the maximum extent, transplant the affected trees within the site or in the vicinity and by Compensatory Plantation of 10 trees in place of every affected trees (which also include transplanted trees). 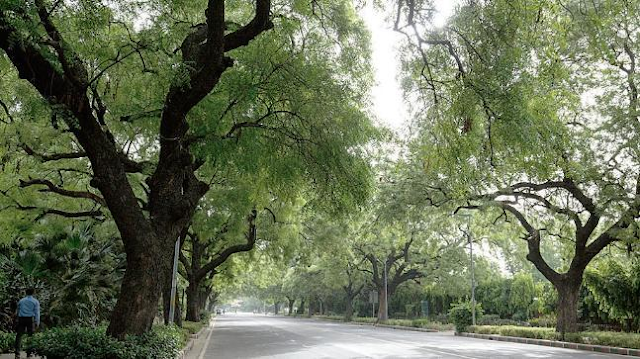 (d) NBCC (India) Limited under the Ministry of Housing & Urban Affairs has informed that after redevelopment, GPRA colonies will become greener and smarter, since the ground coverage has been kept at about 20% against the permissible 33.33% and there will be more open and green spaces. The fresh water demand in post redevelopment will be less than the current supply of water due to recycling and reuse. Rain water harvesting, Solid Waste Management, Sewage Treatment Plant, Solar energy utilization and all other specific stringent conditions given in the environmental clearance shall be complied to preserve and protect environment to the maximum possible extent.